Here’s something I wasn’t prepared for. I grew up as a child in international schools, so I’ve done it. I’ve said good-bye to so many people, so many times. I’ve made my career in international education. More farewells. The process isn’t necessarily easy, but I am accustomed to it. When my husband and I decided to leave Hong Kong, we knew the hardest part would be separating from the people who’ve made our seven years here so memorable, but we also knew we could handle it. What I didn’t consider was that our baby, now a toddler, would be left behind. Of course I don’t mean literally. He’s booked in a seat sandwiched between ours as we rack up the last of our Cathay Pacific airline miles, for now. But, he was born here, and spent his infancy here. And we can’t take that with us. When we fly into Amsterdam airport later this month, we will be leaving behind the sweet little crew of munchkins that have become his tribe. We rotate group play dates at one another’s homes every Friday, swim in the community pool together every Tuesday, and bop around with maracas and plastic leis (don’t ask) at “dance class” every Wednesday. More afternoons than not, my child spends an hour or two on the playground with these babes, learning how to negotiate, to take risks, to show compassion, to have fun. We hosted the play group a couple of week ago, and he cried a little when the children left. “I miss my friends”, he said. Hong Kong is where I gripped the edge of his car seat, instructing the taxi driver to slow down, as we wound down Mount Kellett Road, heading home from the hospital where he was born. 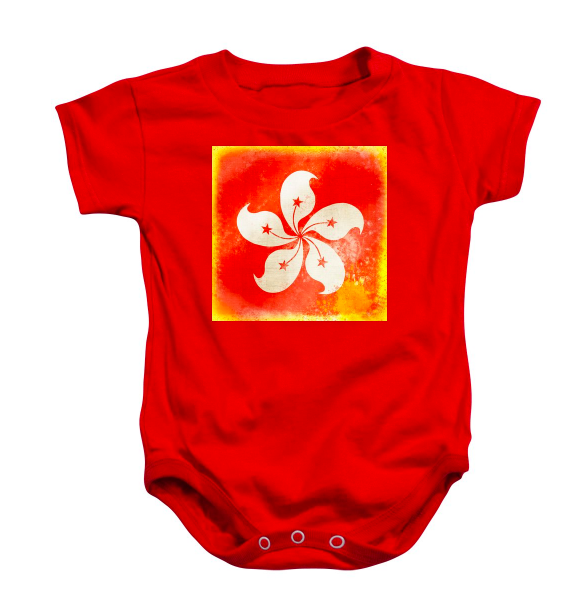 Hong Kong is where he, inspired by his older/wiser/more experienced buddy (born 2.5 months before him) took his first steps across the brightly-coloured, vinyl-covered indoor play room where we passed so many hours in monsoon weather or to escape the air pollution. Hong Kong is where he used to pitch pieces of very expensive, organic pears imported from Italy onto the dining room floor because he was learning how to eat, but also learning about gravity, which was more fun. Hong Kong is where he was a baby. Parenting adds a new – often unexpected – dimension to virtually every aspect of life, and this is no different. My husband and I have begun to bid farewell to friends, but we also know that we will be able to stay in touch with them, and there are certainly people we intend to see again. Those relationships will change with distance, but they will not disappear. Our baby’s relationships will essentially disappear. So much happens in a child’s development that it’s not possible for them to keep up with others without real contact. In a year from now, his little crew won’t know him anymore. He was a baby with them, and they won’t be babies anymore. Perhaps that’s why, despite the cost of shipping to our new home in the Netherlands, I’m bringing along a box full of clothes that definitely do not fit him anymore. As international parents, there is a definitive finality to moving. When we leave Hong Kong, we will do so with a full-fledged toddler. Our baby will stay behind. How do you carry on memories of a place with young children? This entry was posted in Emily Meadows and tagged farewell, leaving, parenting. Bookmark the permalink. You write so beautifully about the joys and sorrows of globe trekkers who invest themselves in new communities and worlds. Lovely article. Perhaps no 30-something is keen to hear how darling she was at 2, 6 and 8, but I do remember. No doubt your son is equally so and will follow in your wise footsteps. Oh my, thank you for these kind words. I hope that he will find life-long family friends from our adventures, the way our family has found with yours. It’s not for babies (but it could be I guess), but with our school-age son, each school year he goes through, we have his teachers write a note about him on a page in Dr Seuss’ book, Oh, The Places You’ll Go. By the time he finishes his senior year, he’ll have a pretty sweet book, most likely from a couple of different school locations. My youngest starts school in August so he will get his book as well. What a lovely idea! I imagine most children – international or not – would love to receive a special book like that as a graduation gift. Thank you for sharing. Your wisdom and deep understanding of children will facilitate a new crew for your toddler. That is obvious to me. I can understand the pang you are feeling about “leaving” your baby behind. Your family will enter your collective new phase with a toddler. What an exciting new experience with a dash of disquietude! All the best! You are so kind. Thank you for these words of confidence and reassurance. I only regret he won’t get the chance to have you as a teacher!